Right Surveyors North Wales Ltd provides a wide range of surveying services to clients across North Wales and into The Wirral, from Gwynedd to Chester and everywhere in between. 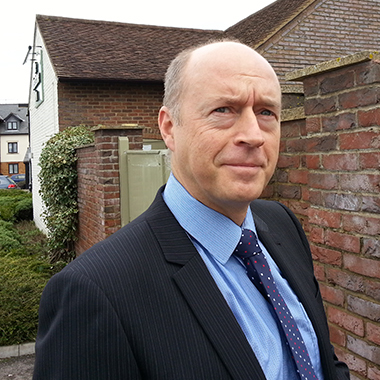 The practice is headed by our knowledgeable surveying Director Richard Preece MRICS NDEA. Richard has many years experience working as a Chartered Surveyor in and around North Wales. He has worked in property for 30 years now, and this huge amount of experience greatly aids his effectiveness at identifying property defects and their causes. As such, Richard is particularly adept at carrying out pre-purchase and building surveys, where defect analysis is of paramount importance. Contact Richard and his team by phoning 01244 42 42 43 or free phone 0800 880 6024. Feel free to send an email to richard.preece@rightsurveyors.co.uk or chat to us using the widget in the bottom right of your screen. Oh, and Richard would be very happy to get some feedback on your experience of Right Surveyors North Wales Ltd. Please leave him a comment below to let him know how he did! I am buying a house in Deganwy and instead of getting a standard ‘home buyers report ‘, I opted for Richard to visit the house and survey it with me present. I was very impressed with his careful scrutiny of the structure and advice given. Money very well spent – excellent value. Many thanks indeed for your comprehensive report, which has given me peace of mind and very helpful pointers as to what repairs and improvements I will need to carry out. Much appreciated. Comprehensive report with all important photos of work needed. Prompt service and competitive prices. Would use again. As a building project engineer presently living in South Africa I was unable to carry out the survey myself I therefore chose Right Surveyors to carry out a survey of the property I was buying on my behalf. The service received was prompt, very informative, professional and at a very competitive cost. I would not hesitate to recommend their services to anyone or use them again myself. I needed help on a boundary dispute that had gone on for two years. Wanting an independent person was very important. Richard gave me the best advice I could wish for. His advice on site and the quality and content of his report was the best information I could have to settle the dispute. Many thanks. Our neighbour wrongly accused us of attaching a structure to their garage, just before we were going away on holiday. Mr Preece put himself out to do a survey of the garage (he did the survey on a Saturday) and provided us, very quickly, with a report and photographs of the garage. It put our minds at rest. A very professional , but friendly, service. I would use this company again and recommend them. Service was fast and efficient. Report enabled me to negotiate a more favourable purchase price for the property. I was going to buy a holiday property in Wales. Although managing everything from Germany, with the help of Mr. Preece I was able to get a very professional Survey in short time. His Service is prompt, friendly and extensive. I would always choose him again. I cannot recommend Richard Preece enough, there is nothing more satisfying than paying for a service and it being delivered with speed and efficiency. I would like to thank Richard for the survey he performed and to hand deliver the pack during the christmas period was well above all expectations. It was a breath of fresh air, instead of receiving the sub standard work which have all had to become accustomed to expect nowadays. Thanks again, highly recommended. I received a call from Richard Preece within five minutes of making an inquiry. The call helped me decide what type of survey would be appropriate. The survey was arranged within the week, with results e-mailed to me on a Friday evening and a paper copy posted. The survey – complete with relevant photos – was very informative. In particular, it highlighted a major issue that we had not been aware of, and which we’ve been able to take up with the vendor. Thank you again for a thorough and professional service, and your advice and explanations in our conversations, and in your report, were very much appreciated. I would highly recommend your services. A very good service, friendly and efficient and would most definitely use them again. We opted for the Verbal Acquisition Advice and I accompanied Richard throughout a very detailed and thorough inspection of a 150 year old property. Richard was professional, methodical, thorough and approachable. I was able to ask questions throughout about the property’s condition, proposed alterations and work that would be required to be done in the short and medium term. This allowed us to make an informed decision to purchase the property.I found this service invaluable and would highly recommend it to others. I accompanied Richard around the property during the Verbal Acquisition Advice and throughout Richard discussed issues found and remedies to make good. He was very professional, very systematic, courteous and very approachable. He responded to my many questions in detail and followed the inspection up with a comprehensive photo log, a 24 page appendices and other informative documentation. I have no hesitation in recommending Richard and I would certainly use his services again and would advise anyone else seeking this type of professional advice to use Richard Preece and Right Surveyors Ltd.